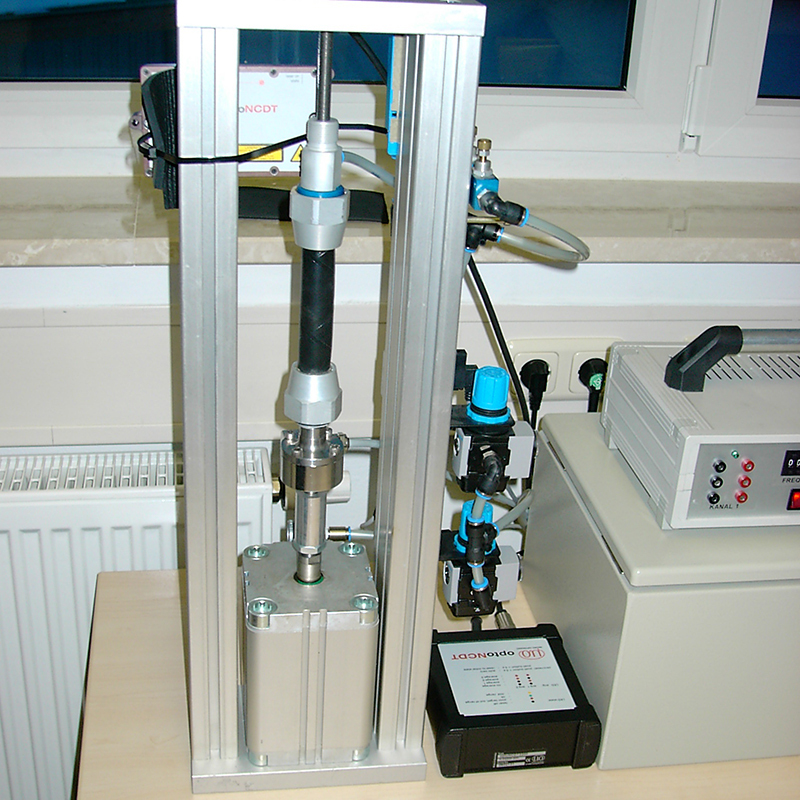 So-called muscles are developed as alternatives to hydraulic cylinders. The hose made of rubber contracts when it is filled with compressed air. An in-house tester has been developed for testing this muscle. A sensor from the optoNCDT 2200 series in this tester monitors the contraction of the muscle.